Holyoke Catholic Senior Seminar is more than getting coffee! As a senior at Holyoke Catholic High School, I was required to do a two week “Senior Seminar” or internship before graduation. 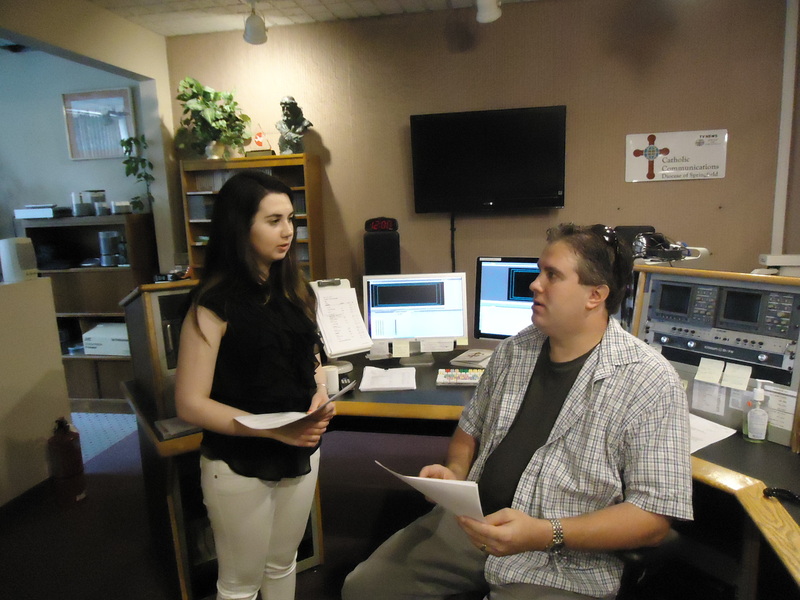 Because of an interest in communications as well as in film, I thought Catholic Communications would be a great place to do my internship. Now that I have finished my internship, I can say I am so glad I chose to do it here. Everyone is so nice and it is like a family. I cannot express in words how much I enjoyed my internship or how grateful I am for the experience I got. When most people think of internships they think of grabbing coffee, making copies, and not getting paid. But that is not even close to the experience I got with my senior seminar. I was given a story to report on and had a task to do every day with it. I learned so much and had a lot of fun. Oh, and I also got to be on TV which is pretty cool. Here’s a behind the scenes look at my two weeks at Catholic Communications. 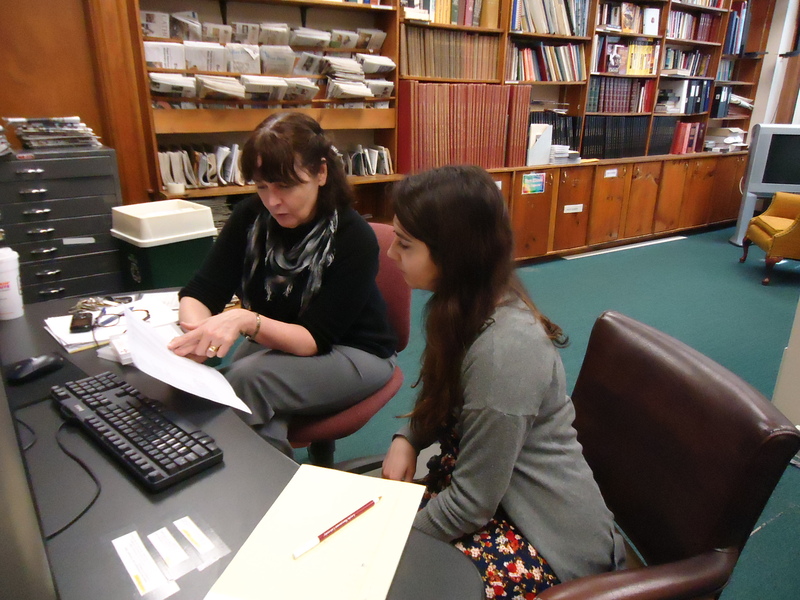 Upon arriving on the first day of my Senior Seminar, I learned the basics of logging with my mentor, Peggy Weber, who was working on a story. 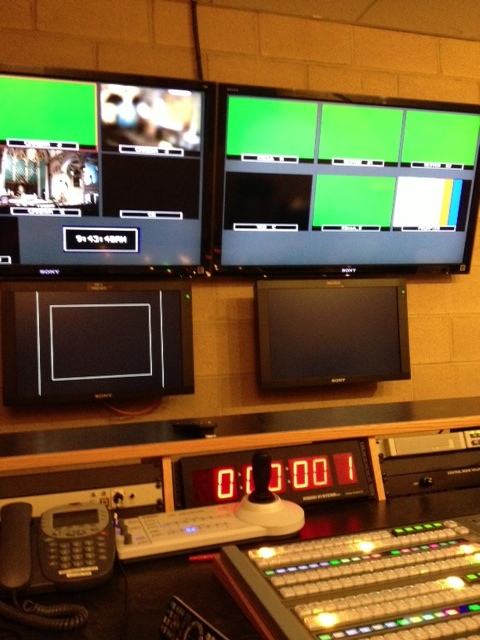 Logging is when one chooses the video clips to be featured in the story. Although Peggy is not a fan of logging, I enjoyed it. However, my first day was not all work, nor would the two week experience lack any fun moments. 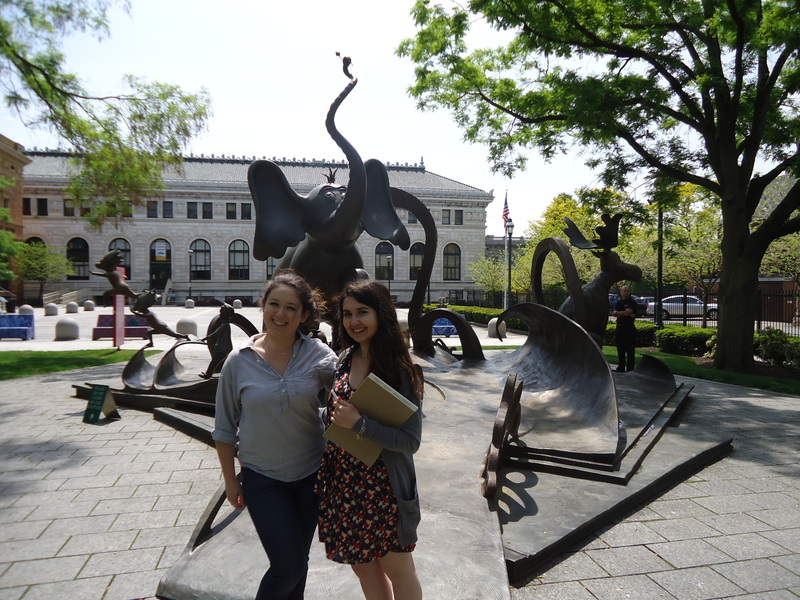 Here I am with Sharon Roulier’s daughter, Stephanie, during a tour of the Dr. Seuss sculptures in downtown Springfield. The second day I went on location in Westfield to report on a talk given by Brother Mickey McGrath. 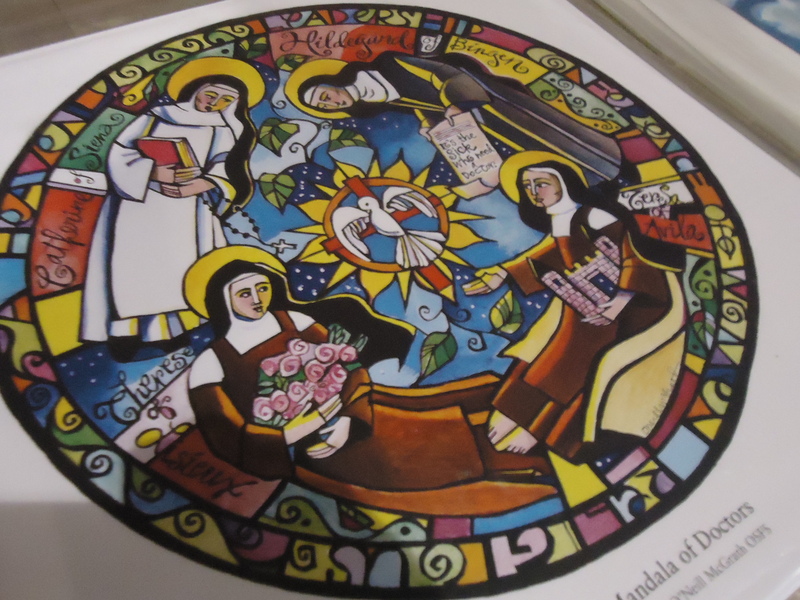 I really enjoyed hearing Brother Mickey speak and seeing some of his beautiful artwork. Not only did I get to interview people but I even got to perform a stand-up in front of the camera. It was fun, but pretty difficult. It definitely reminded me that I like working behind the scenes more. I got to sit in on an editorial meeting which was really interesting. During the meeting, everyone talked about different ideas for upcoming stories. 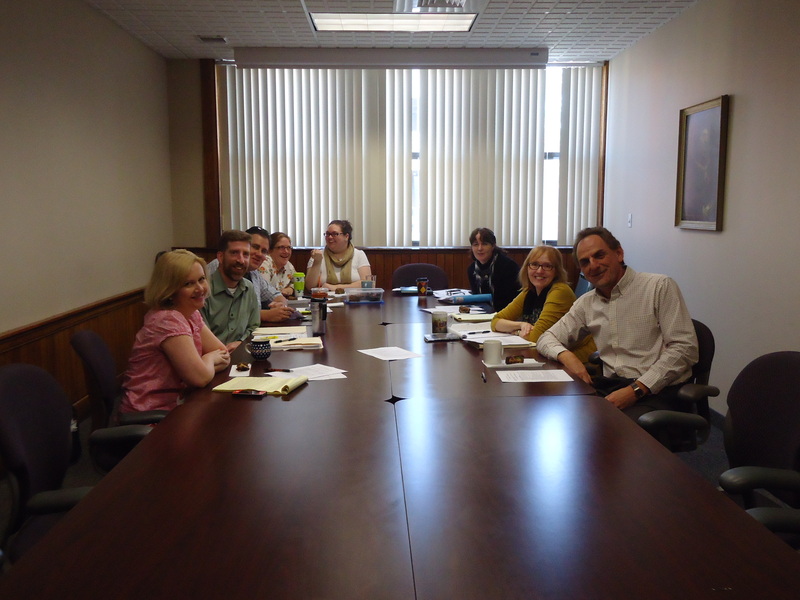 Here is the whole Catholic Communications team. 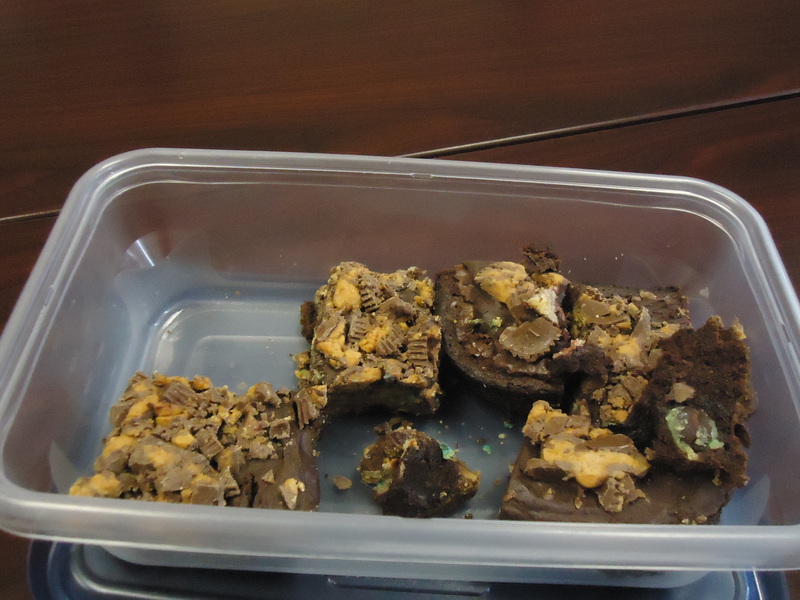 There were also these delicious peanut butter cup brownie bars at the meeting. (Courtesy of Bill’s wife!) Yum! I loved watching Bill Pacocha, the chief videographer and video editor at Catholic Communications, work in the edit suite. I got to write my own script and then do the voiceover work which was really cool. 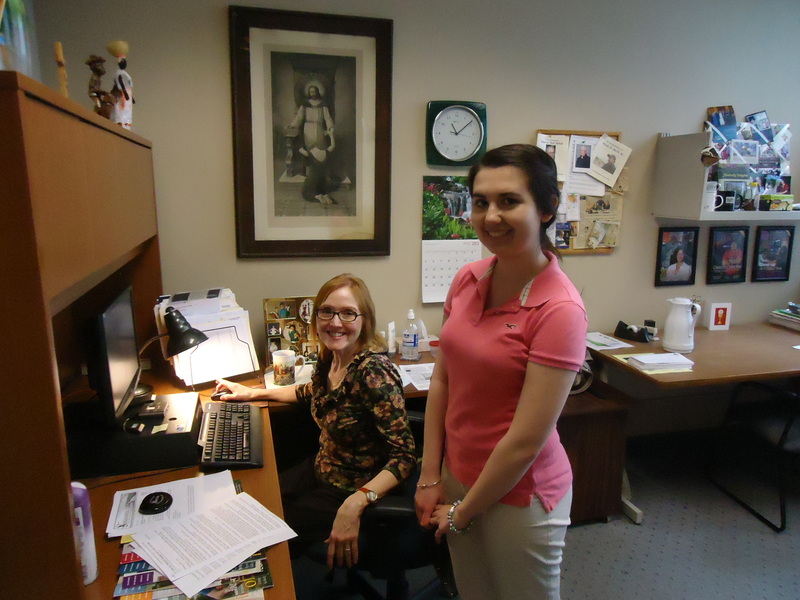 It is part of a story that is scheduled to air on June 22 on Real to Reel on WWLP-TV 22 at 7 p.m.
Barbie Bagley, who handles graphics and the diocesan web site, and Sharon Roulier, the host of Real to Reel, are hard at work here. 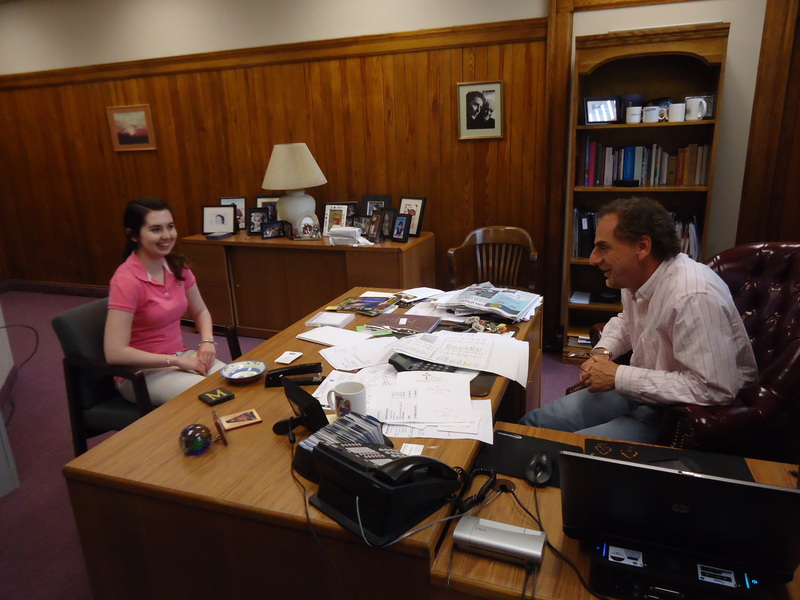 Here I am discussing my internship with Mark Dupont, director of Catholic Communications and diocesan spokesperson. I got to attend the Chalice of Salvation Mass taping during my internship. It was a crazy day because we were taping two Masses, but I got to sit in the control room and wear a headset which was really cool! I loved watching how everything came together. Through my internship, I was able to attend the Ordination Mass on June 1 where five new priests were ordained to the diocese. 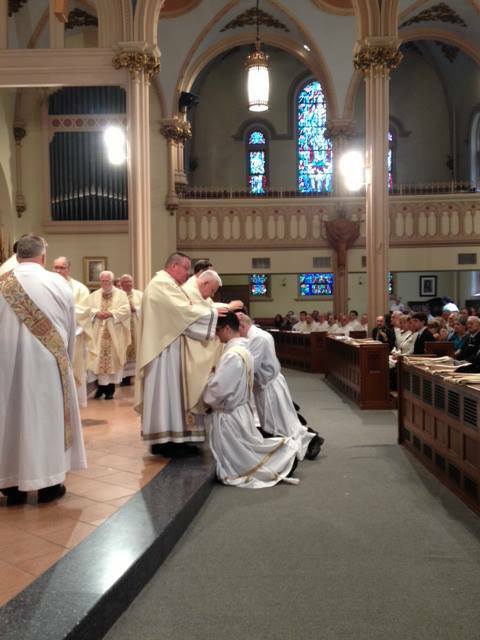 I had never been to an ordination Mass before but I truly enjoyed being a part of such a special event. I was responsible for the social media; so, I would take photos and then go back to the control room to upload them to Facebook. It was basically online reporting and was actually fun. 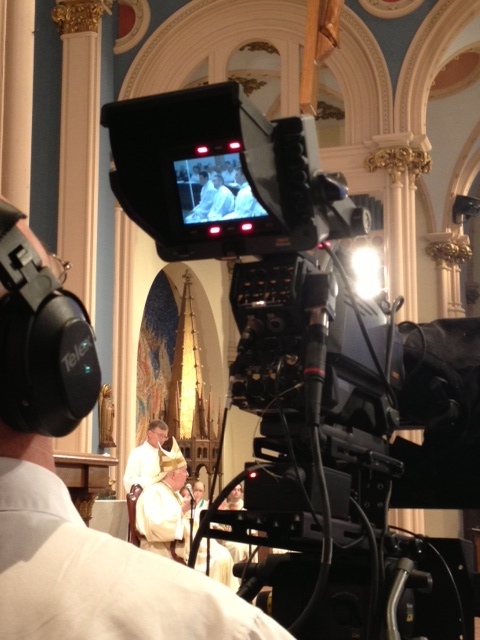 Here is a behind the scenes look of the Ordination taping. 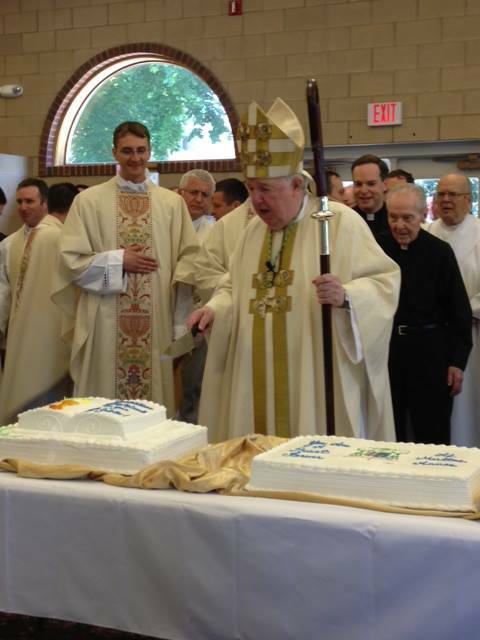 June 1 was not just the day of the Ordination, but it was also the Bishop’s 50 year Jubilee! Here he is cutting his cake. 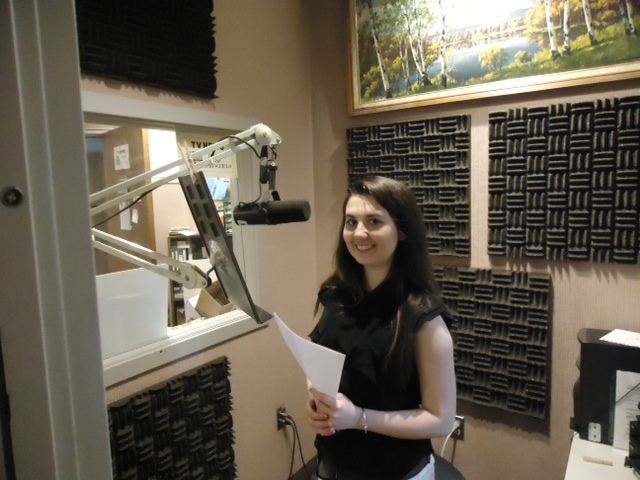 I am so happy with my internship at Catholic Communications. I can truthfully say I had the best two weeks and wish they didn’t have to end!